Sacred Geometry Zen hoodie for men and women, featuring hand silkscreened artwork on the back, hood, and sleeve. 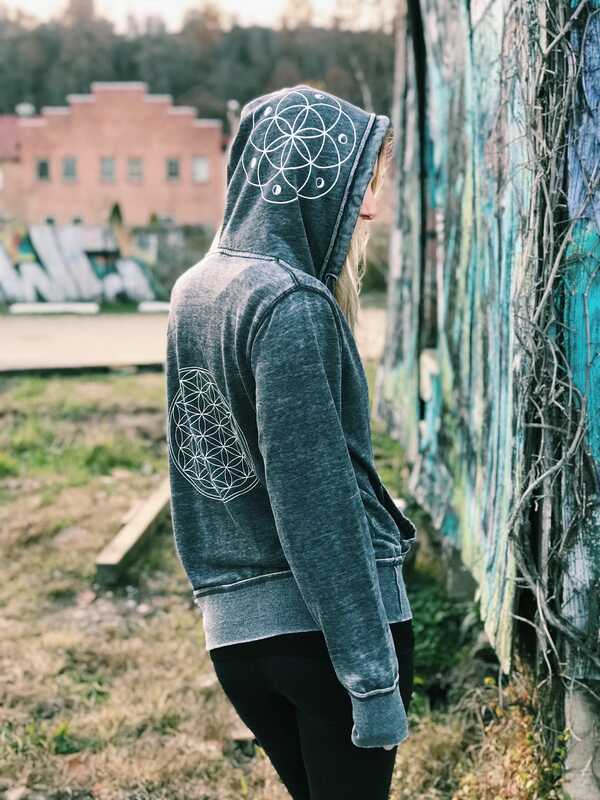 This lusciously soft zip-up zen hoodie is completely unique and one of a kind, printed on the back with sacred geometry Flower of Life print. 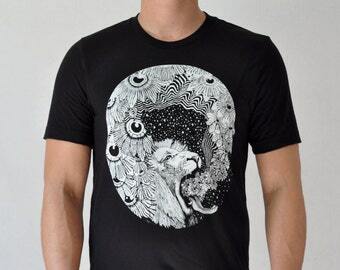 The hood is printed with seed of life moon phase artwork, and the sleeve has a vertical print running down the side. The inside is lined with super cozy fleece, and the outside is made of a super soft acid washed fabric(cotton/poly blend) that has been single-died for a vintage look. It features an antique brass concealed zipper and split front pouch pocket. It has raw-edge seams around the hood opening, pocket seams, cuffs, waistband, zipper placket and side seams. You will never want to take this amazing hoodie off - truly perfect for every occasion, especially for those festivals that get a bit chilly at night. HORRIBLE SHOP. PERIOD. WILL NEVER SHOP HERE AGAIN. Never received my order. I am genuinely sorry for the shipping your package to the wrong address. I pride myself on quality and feel terrible that i unfortunately made a genuine mistake in the shipping address, but I refunded her in full as soon as I realized the error. Sooo soft warm and comfy, the only thing is it is a little thin.